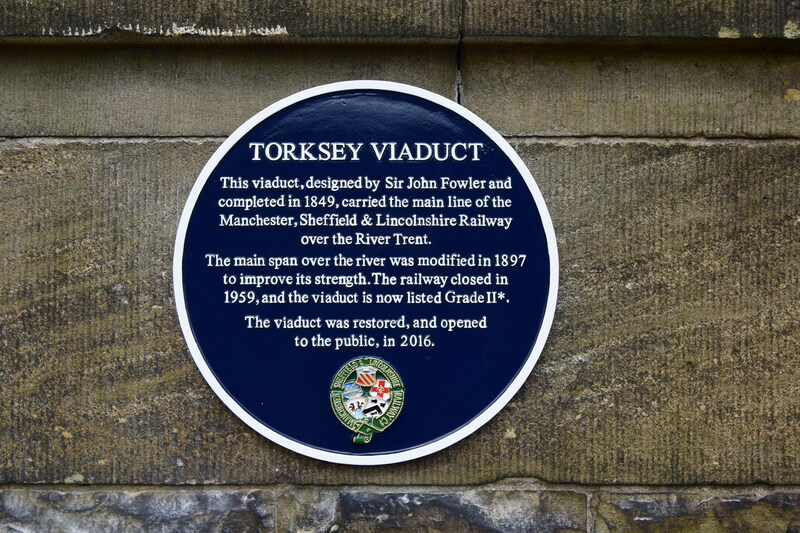 The newly restored Torksey viaduct was officially opened this April by Sir William McAlpine, Chair of the Railway Heritage Trust. 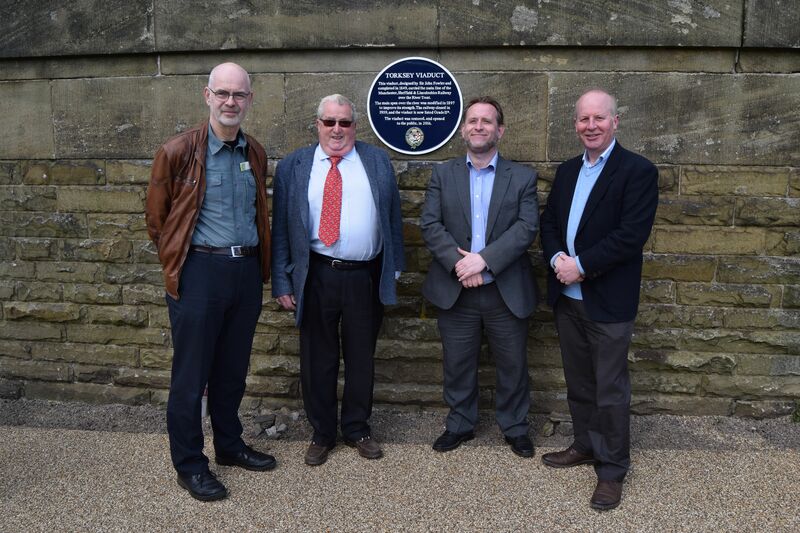 The ceremony marked the opening of a new pedestrian route across the historic Grade II listed structure, linking the villages of Torksey and Cottam for the first time since the closure of the Manchester, Sheffield & Lincolnshire Railway in 1959. 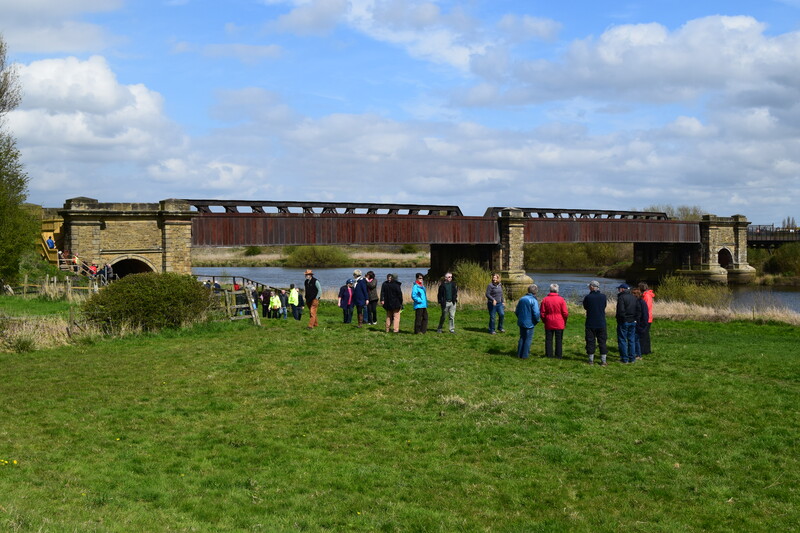 Funding from the Railway Heritage Trust has enabled Railway Paths and sister charity Sustrans to develop this pedestrian route across the River Trent. Further work to develop and extend this route is being undertaken by RPL and Sustrans. 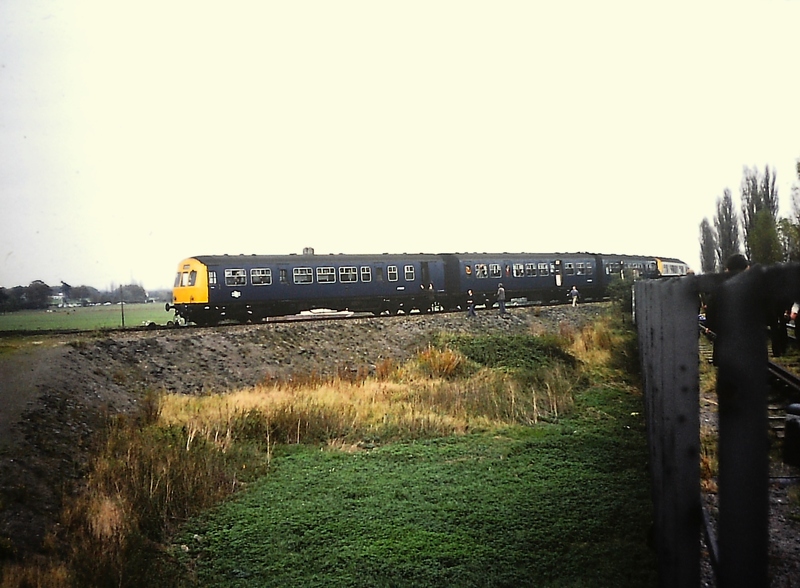 Photo © RPL: Rail services across Torksey viaduct ceased in 1959; this photo shows a special excursion at Torksey on 28th October 1978. 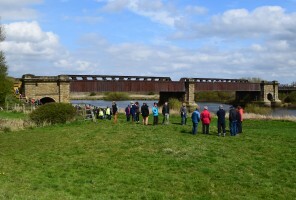 Photo © RPL: The opening event included a led walk across Torksey viaduct on the new pedestrian route. 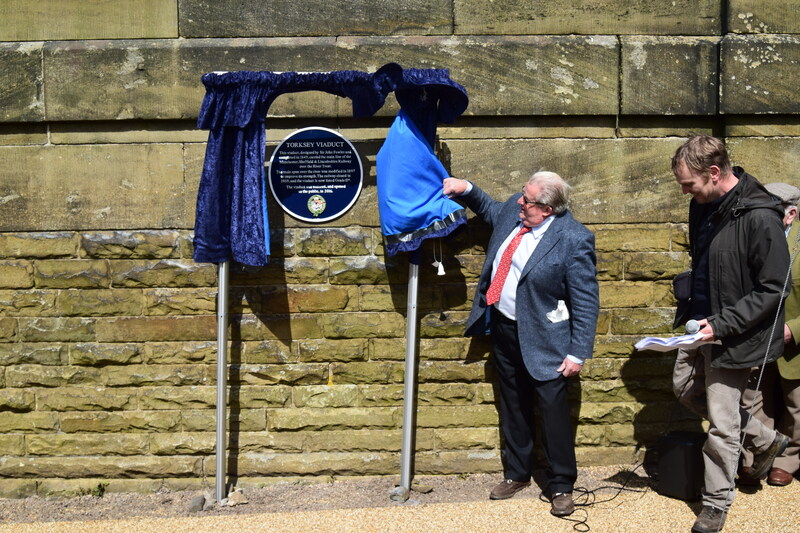 Photo © RPL: Sir William McAlpine, Chair of the Railway Heritage Trust, opened the restored viaduct. 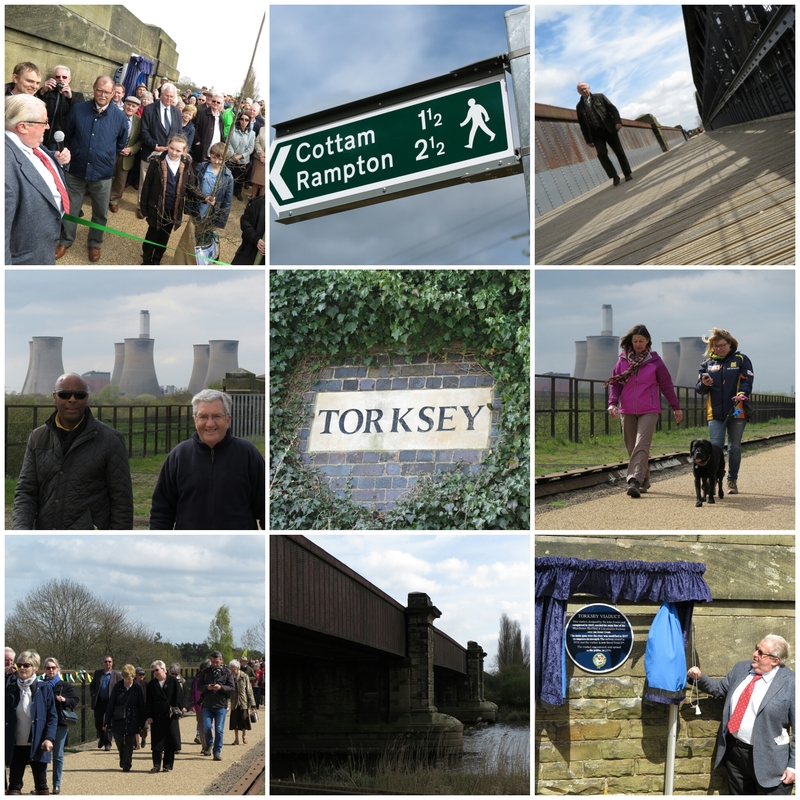 Photo © RPL: The commemorative plague highlights the history of Torksey viaduct. Photo © RPL: From left – Andy Savage and Sir William McAlpine of the Railway Heritage Trust, Matthew Easter, England Director Sustrans and Huw Davies, CEO Railway Paths Ltd.